Paris, September 25: To enhance its innovative positioning, Elit-Technologies has chosen to rely on the Kurmi Service Provider Suite platform to automate the administration of its Cisco HCS infrastructure and effectively meet its customers’ expectations. With several awards from Cisco such as “Solution Innovation Partner of the Year France and Southern Europe” and “Digital and Social Marketer of the Year EMEA,” Elit-Technologies was looking for an innovative, high-performance solution to introduce a unique value proposition for its Cisco Powered UCaaS solution. By selecting Kurmi Software, Elit-Technologies is surrounding itself with experts who, for the past 10 years, have been guiding many international operators in optimizing the deployment of their UCaaS solutions. Kurmi Service Provider Suite offers highly innovative features focused on the user experience to facilitate UC platform management such as Cisco HCS, from the design of services through on-boarding and day-to-day user management. “By choosing to migrate CUCDM to Kurmi Service Provider Suite, we have become more flexible and responsive. Now we can very easily adapt our offers, as well as reduce deployment time to our customers. With the support of Kurmi’s Professional Services team, we’ve been able to implement our know-how in Kurmi and automate our processes. Now we have a new edge on the market, and the first very positive feedback from our customers and prospects is confirming our choice, ” says Xavier Bruns, Director of Services at Elit-Technologies. “Being aware of the operating challenges that service providers encounter, we natively integrated a ‘built-in’ into the Kurmi solution to facilitate its deployment. Support and training were optimized. Elit-Technologies quickly gained autonomy to fully operate Kurmi Service Provider Suite, giving its new and existing customers all of the solution’s rich functionality,” says Sébastien Renard, Sales Director of Kurmi Software. Find out more at Cisco HCS Domain Manager. The Elit-Technologies group specializes in integrating and operating IT infrastructure. With engineers at the highest levels of certification, Elit-Technologies’ fields of expertise are Unified Communications and Collaboration, video-conferencing, audiovisual, and security. Elit-Technologies helps businesses profit from agile, robust architecture to improve their performance, supplying products and services with high added value. Kurmi Software provides a management platform for Enterprise Communications infrastructures that simplifies user provisioning, migration, and day-to-day administration. With its advanced automation and integration capabilities, Kurmi Software delivers strong operating cost savings while offering the best UC administrator and end-user experience. 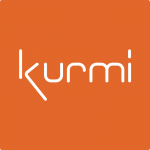 As a key partner of Cisco, Kurmi Software has also developed built-in connectors with other leading Unified Communications and Contact Center vendors, giving service providers and enterprises a single management point for their infrastructure. Located in France, Germany, the United States and Canada, Kurmi Software supports large customers worldwide thanks to its advanced technology.